The Elm Research Institute, established in 1964, has spent more than two decades developing the first disease resistant American elm, the Liberty Elm, which was introduced in 1985. American Liberty Elms are selected from premium cultivar stock, cloned, field-tested and come with the only Lifetime Warranty against Dutch elm disease. Improving Business The Biophilic WayHow do you incorporate biophilia — a connection to nature — into a facility? Here are four strategies that are easier than you may think. Previous articleDoes Your Water Consumption Make Sense? I found a table of elm cultivars maitained by the University of Minnesota (http://www.extension.umn.edu/yardandgarden/ygbriefs/p425dutchelm-resistant.html). These are the different elms with resistance to Dutch Elm Disease (DED), as well as other diseases and pests. 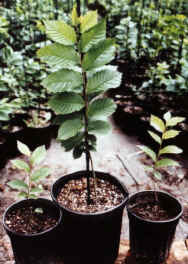 The Park Royal cultivar from the Siberian Elm — Ulmus pumila variety was introduced into Ontario, Canada. Sheridan Nursery raised this particular variety and was first listed in their 1969 Trade List. Since then, it is no longer grown by them. You may want to contact the Sheridan Nursery – http://www.sheridannurseries.com/GardenSite/sectionproductsandservicesFRAMESET.htm – and see what treest they would recommend for your area. From What I can tell from the Canada National Land & Water services, Ottawa is Zone 5A of the 2000 Plant Hardiness Zone.